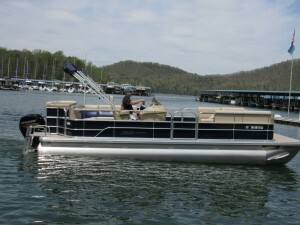 Lakeshore Resort & Marina features pontoon, speed, and fishing boat rentals for those that want to enjoy a beautiful day on the gorgeous waters of Watauga Lake Tennessee. ***New Regulations Effective July 1, 2018*** Tennessee residents born after January 1, 1989 are required to pass a boater education exam administered by an approved representative of the Tennessee Wildlife Resources Agency in order to operate any motorized vessel over 8.5 horsepower. Out of state residents born after January 1, 1989 must show proof of successful completion of a National Association of State Boating Law Administrators (NASBLA) approved boating safety course. Non-resident certification may be from their home state or any state issued course. Lakeshore’s boat rentals are the best way to enjoy a stress-free day on the water. Create lasting memories while skiing, fishing or simply enjoying a gentle ride or picnic in the middle of the lake! 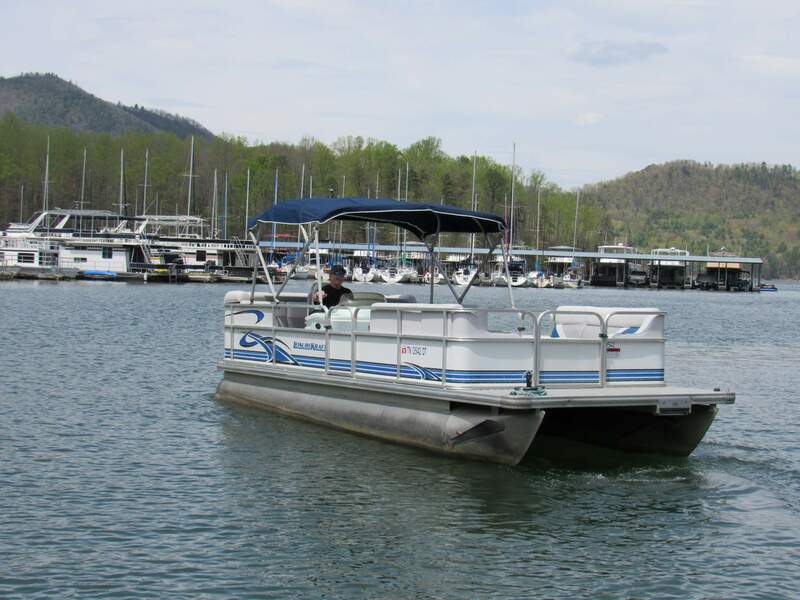 There is nothing to compare with boating on Watauga Lake and Lakeshore Resort offers pontoon and speed boat rentals by the day. 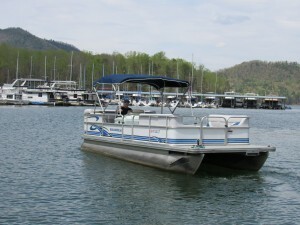 We have added NEW pontoon rentals to our fleet. Each of these boats have 115 horse power motors. 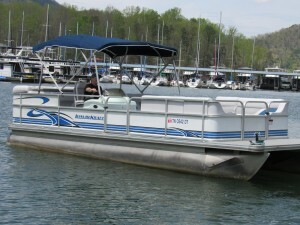 We still offer our standard pontoon rentals that offer 50 horse power motors. Our pontoons offer great enjoyment for the entire family and are an exciting way to witness the panoramic mountains that literally rise right out of the water! They are great all summer long and there’s nothing like experiencing the Fall colors from the lake, or a brisk Winter cruise. Our speed boat rentals are Polar Kraft Sierras V194 and equipped with 115 horse power motors. These are perfect for those that wish for a little more speed for skiing and tubing. They each offer a sun deck, Bimini top, ladder, and tow bar. These rentals will accommodate up to six people. We now have a Polar Kraft Sierra V194 set up for fishing! 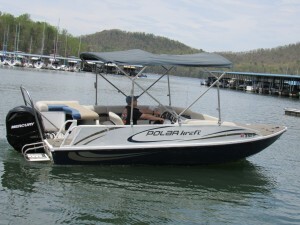 This Polar Kraft offers a 115 HP Mercury, live well, trolling motor, two fishing seats, ladder, and Bimini top. This rental will accommodate up to six people. 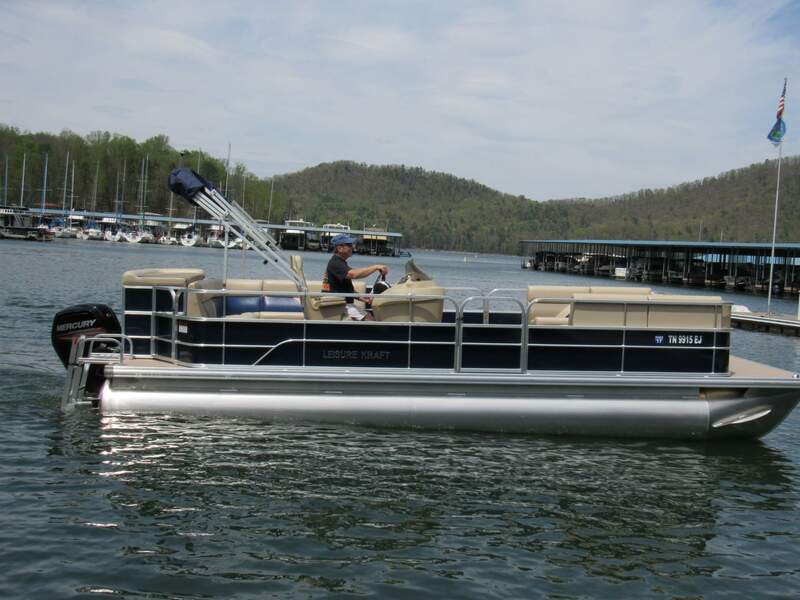 Our boat and pontoon rentals are VERY popular and we recommend making reservations early by calling (423) 725-2223 and selecting option one. Reservations are only for full day rentals only. Deposits are required to book a reservation. Boat rental rates are subject to change. Please call ahead. Rates do not include sales tax or gasoline. Life preservers $1.00 each per day. Fuel is an extra charge as well. We do sell Tennessee fishing licenses at our marina. Please allow 8 to 10 extra minutes per person when purchasing a fishing license at our marine store. Each individual will need their social security number at the time of purchase. Please note that purchasing your license is more convenient than ever before! This new site will allow you quick and easy access to hunting and fishing licenses, permits, regulations and other important information about recreation in Tennessee. Visit https://www.tn.wildlifelicense.com/start.php to purchase your fishing license online. Boat must be picked up and returned daily by designated time. A deposit is required to reserve your boat rental. Please understand that our cancellation policy is designed to keep our rental fleet as modern as possible for our customer’s enjoyment. For this reason, along with our short rental season, we do not offer refunds on rental deposits regardless of the weather on the date of your reservation. You may reschedule your reservation for a later date if needed. Please do not assume we know that you wish to cancel due to bad weather. Call to let us know if you wish to reschedule. If you do not call you will be considered a “no show” and you will forfeit your deposit. Your deposit will expire one year after the date of your first cancellation.